The Wolke m600 touch and Videojet 8510 are high resolution printers that use HP®’s thermal ink jet (TIJ) technology. These versatile printers feature a large CLARiTY™ touchscreen interface for easy operation, as well as provide a common look and feel to those familiar with Videojet’s CLARiTY-based printers. 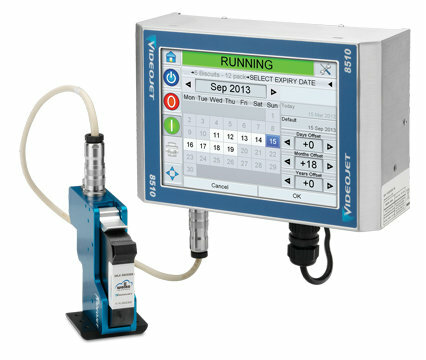 From basic alphanumeric codes to complex bar codes and graphics, the m600 touch and 8510 have the capability to print a wide range of codes on fast production lines.